I've never cared much for formal gardens which emphasize symmetry and impose geometry on the plants. In a corner of the French Parterre at Hillwood, Marjorie Merriweather Post's grand garden, a Japanese maple branch fluttered its leaves. 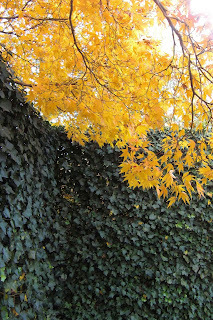 Was it taunting the ivy with its gentle anarchy of golden leaves? The walls of ivy remained immobile. I saw a clash of design styles; art nouveau, by way of Japan, trying to encroach on a bit of Versailles. My camera's view is of a modern, minimalist painting. 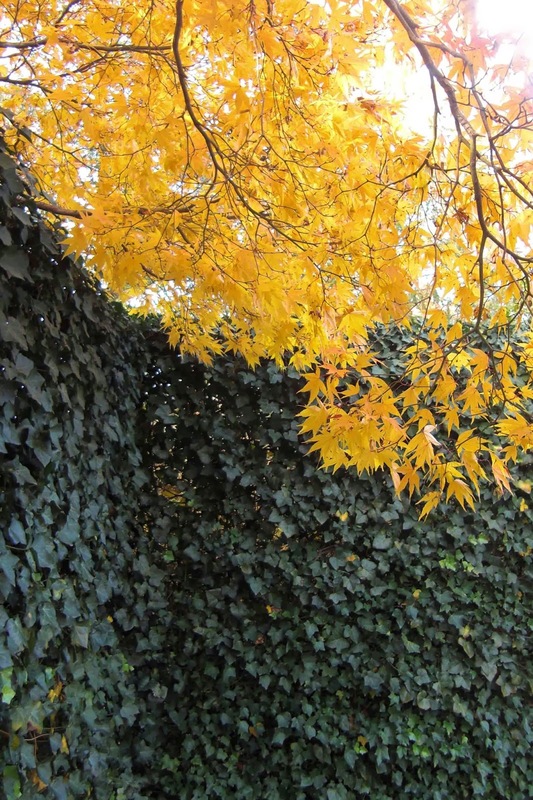 Ivy and maple both win.